Machu Picchu, a city whose identity remains a mystery. | Discovery of an architectural form | Machu Picchu and Tampu-tocco: the same city? This site presents the results of research and observations on the architecture Incas. Mention is often the will of the Incas to give some of them cited the form of 'sacred animals. This site will show you that reality goes much further. In fact, the Incas have always given shape to their city and their website, according to a precise method, and it is not always sacred animals. In addition, these findings are corrected current assumptions regarding the forms of Machu Picchu, of Pisac and Sacsayhuaman was yet the most famous examples of architecture Incas in the shape of a sacred animal. They will also reveal the forms of cities such as Choquequiraw, Ollaytantambo and sites such as Puca Pucara, Kenk'o, Tambomatchay. Us had a very poor opinion of the Incas into thinking he could give a city name Sacsayhuaman (satisfied falcon) the shape of a puma, not a hawk. These observations have led to new hypotheses on the origin of the Inca dynasty, much more relevant and plausible than the present ones. The latter are the origin of Manco cappac in Amazonia or in the region of Lake Titicaca. The findings presented here seem to indicate an origin from the northern valley of Urubamba, formerly Vilcamayu or river sacred. It also demonstrates the relevance of the writings of Montesinos and the reality of Amautas and Tampu-tocco. For research on satellite maps, some areas of research were delineated. In addition, the discovery of two pyramidal shapes in the jungle that can identify locations of city importance. Finally, you will find on this site beginning of study of Inca walls, which appears to contain representations of animals and other designs, explaining geometry so particular some walls. 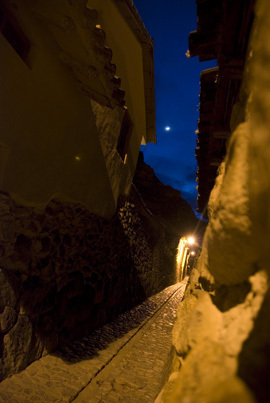 In particular you will understand why the stone at 12 angles Palace Cusco has 12 corners.